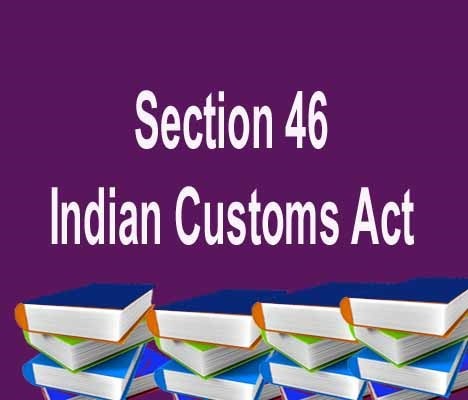 When to file Bill of Entry for import in India? Provided further that if the importer makes and subscribes to a declaration before the proper officer, to the effect that he is unable for want of full information to furnish all the particulars of the goods required under this sub-section, the proper officer may, pending the production of such information, permit him, previous to the entry thereof (a) to examine the goods in the presence of an officer of customs, or (b) to deposit the goods in a public warehouse appointed under section 57 without warehousing the same. 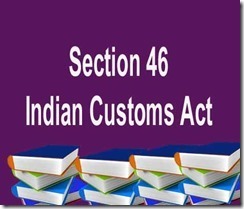 Provided further that a bill of entry may be presented even before the delivery of such manifest if the vessel or the aircraft by which the goods have been shipped for importation into India is expected to arrive within thirty days from the date of such presentation. (4) The importer while presenting a bill of entry shall at the foot thereof make and subscribe to a declaration as to the truth of the contents of such bill of entry and shall, in support of such declaration, produce to the proper officer the invoice, if any, relating to the imported goods.